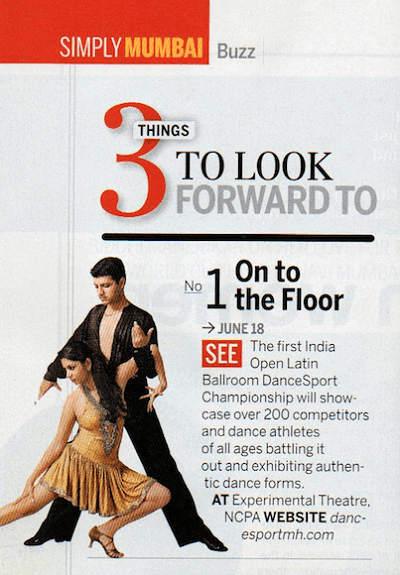 The training is as per the syllabus followed internationally for Latin & Ballroom Styles. One can book his/her seat via NEFT/ Online Transfers or Cash and Cheque payment. Signing up at any of VR DanceSport location, entitles you to come for extra practice at other locations during the same tenure of enrollment, FREE of cost! This helps not only in extra practice but also helps cover up missed classes. Moving to the Advance/ Higher levels entitles you to free unlimited lower level practices in the particular month of enrollment only. Our aim is to help you become a better dancer each day! Bronze, Silver, Gold Levels in the above mentioned dance styles. We organize the State and national level DanceSport Competition for all ages every year, which is a very big affair in the field of dancing every year. Dancers across the country get to participate in the category of their experience, which is useful for students going abroad for education also as an experience. 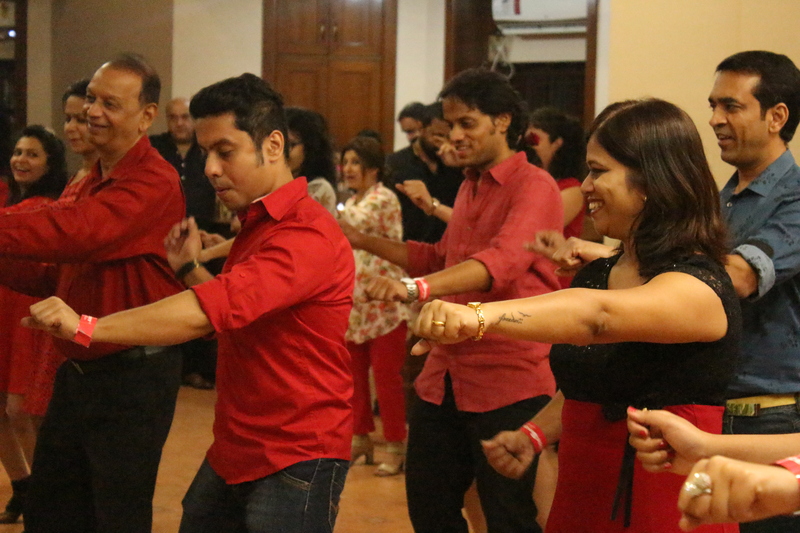 In Addition, we have take our students to dance nights with live music to enjoy and practice whatever they have learned in the classes and hold workshops in different areas of performing & dancing including lifts, line dancing and so on. Workshops are held for these specialized dance forms every month! How can you utilize classes for Practice and make up turns? It’s simple; you can give us a call to know about the ongoing batches when you wish to practice. You can then attend the batches as per your eligibility. We understand you may have many questions on mind before you join us in our Dance World. 1. I HAVE TWO LEFT FEET, WILL I BE ABLE TO LEARN? Our dance trainers will definitely make you feel comfortable and guide you throughout the course. Our beginners course is structured in a manner where everyone can learn easily and the complimentary practice classes come very handy. 2. DO I NEED A PARTNER? No. you can come alone to class and dance with the teacher and the other students at class. We follow a rotating partner system. however, if you wish to join with a partner and would not like to rotate partners, thats absolutely alright! 3. WILL I NEED DANCING SHOES? Day 1 of class dont bother about dancing shoes. Be in any comfortable pair of shoes or just carry an extra pair of socks. Eventually yes you will be expected to get into Dancing Shoes. All info will be provided at class. 4. WHAT DO I CARRY TO CLASS ON MY FIRST DAY? A photograph for the enrollment form, the course Fees & Lots of water. 5. WILL THESE CLASSES HELP ME IN WEIGHT LOSS? 6. IS THERE AN AGE LIMIT TO REGISTER? Nope. The class will be composed of Adults usually. However, in some of our batches kids above 9yrs do a fantastic job even while learning with grown ups. The young at heart at our courses have even been upto 80yrs of age. 7. WHAT IF I MISS A CLASS? While doing your course, whether or not you miss a class you can always attend beginners batches at all our centres for practice, without any additional cost. 8. HOW DO I MAKE THE PAYMENTS?